Say you enjoy amari, as I do. Say you think the resources that exist for learning about the subject are somewhat limited, as I do. Then follow me and say AmariAmari (it is helpful to speak Italian). At AmariAmari, the handywork of Mr. Fabio Greco (lovin' that Italian name!) and Ms. Asami Miyazaki, you will find some threads to help you weave together your own ideas about amari. The way I heard it, in the early days the gentleman would visit the sushi restaurant, a small place on Rodeo Drive, quite often. He would sit at the bar, and slowly, politely, ask for another piece, and then another. It was only later that he started to phone his orders in. Truth be told, Taisho, as we called the chef, vastly didn't like and usually wouldn't do take out orders, but - and this is true to this day - he would do anything for a regular. And this gentleman that we are talking about never winced at a large check. So take out would be allowed. For him. It was after the first few visits that Taisho asked the man if he wasn't in movies? It was common for the Hollywood types to find their way to this little spot for a meal. Studio heads, usually, and their chosen favorites of the day. And so it wasn't implausible that this rather rotund, older gentleman might be involved with the motion picture industry. Wasn't he? Good movies? Taisho had emigrated from Japan as an adult ("to play golf," as he would explain), and was still unsure of his English. But aren't "You from Tennessee New Ohleen? Aren't you Mahwron Blando?" No, No, a chuckle, and a small smile, the man was not Marlon Brando. But thank you, thank you. No, I am me, he said. And then he asked quietly if he might have the Negitoro roll. It was the driver who gave him away, much later. Arriving for the latest takeout meal, "Is Mr. Brando's order ready?" he wanted to know. "Awwwwwwwwwwwwwwwwwwwhhhhhhhh, So!!!!!!" Taisho says each time he gets to this part of story. "Bwando. He was plivate style - and then a pause for emphasis - plivate style." It seemed like the highest compliment. Maybe it is: private style. I'd like to take a moment to recognize Mr. Steve Edmunds, who in his own quiet way has year after year, bottling after bottling, turned out some of very favorite wines from the Golden State. 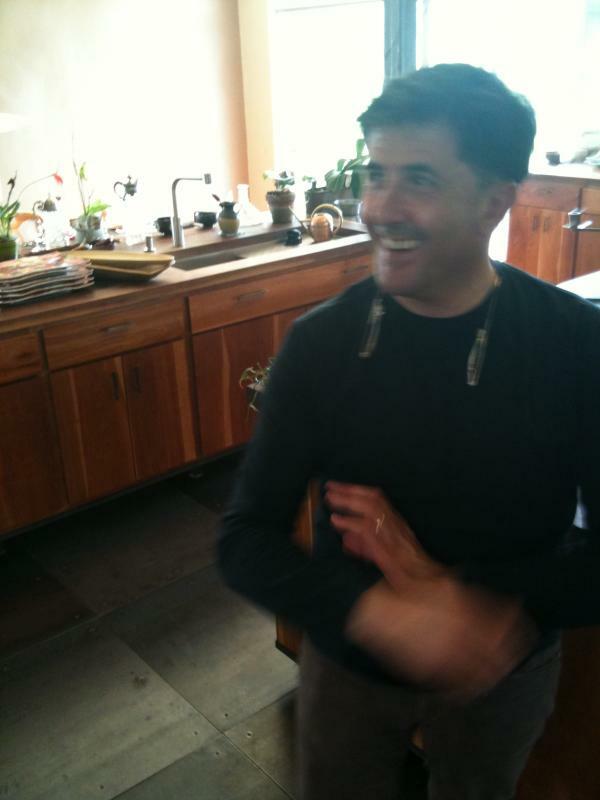 Steve seems to know intuitively how to coax allusive flavors of the soil into his wines - which are sold under the Edmunds St. John label - and goes about doing so in a fashion that seems all too rare to me. It was Steve's Wylie-Fenaughty Syrah that first hailed me to look closer at what he was up to, and it is a bottling I have enjoyed greatly, in successive vintages. But his whole range of wines is tremendous, with a base line level of quality that is pretty astounding. AND they can be quite long lived, developing the kind of secondary flavors and nuance that some people seem to think is foresworn from the possible in California. Thank you, Steve. You've never blared out of trumpets what you could say with more ease through your wines. Don't think it isn't noticed. All the travel difficulties of this day made me think back to the case of Joe B. When you are searching around for wines that hold interest, that have character, it can be difficult to explain what you are looking out for. People, salespeople mostly, ask me what it is that I am trying to find, and if I like them I’m apt to say that I am looking for Joe B.’s case. And it is true that the look around has taken me some time. It was a black case not much more than a foot and a half long and not so deep, more like a briefcase than what you might take on a trip. It had been a long time since that case was new, and I remember the plastic handle, studded to look like leather, with the grey electrical tape all wound along one side to keep it held on. But it was the blocky white gauze letters glued to the black sides that stood out: SANDY on front, with an arrow underneath pointing right, and BWOOD stuck on the back. Probably there wasn’t enough room to write out the whole word Brightwood, so Joe had cut it short. That made sense to me, since almost anybody going that way would understand what it meant anyhow. Actually, Joe had told me that most times he got a ride coming back a lot quicker, ’cause the other folks who lived in Brightwood all knew who he was and would stop their cars and give him a lift back from the Sandy Safeway. Probably the least they could do: a week’s groceries can be heavy. But the day skiers coming off the mountain and headed towards Gresham were always afraid to pick up a hitcher, so Joe sometimes waited out there by the ditch at the side of Highway 26 for 30-some minutes, maybe an hour. I figure if folks just saw Joe B. standing out there on that rough crutch without knowing the story of what had happened to him, then they might try to avoid thinking about him altogether. Just cruise along and forget about the guy standing there firmly holding the case indicating his direction. I figure that’s what most folks might do. ’Cause Joe B. could fix people with a scare if you didn’t know how kind he was. Joe B. had been a logger. As Clary told me once, they don’t call loggers “treers” for a reason, and that’s 'cause the trees don’t last too long when the loggers are around. Clear cuts were the rule on the hills behind Brightwood and Zigzag. I’d look out the school bus window and see long stretches of stumps where a forest had been the day before. On the clear days I’d go hiking around behind the place we lived, and you could hear the chainsaws in the distance. They weren’t ever so close, but that noise gets to you. There aren’t a lot of other sounds like that in a forest, relentless like that. It’s not the same as birdsong. Joe B. had been a logger, and the way it happened, he had been alone when the sitka spruce fell the wrong way and pinned him under. 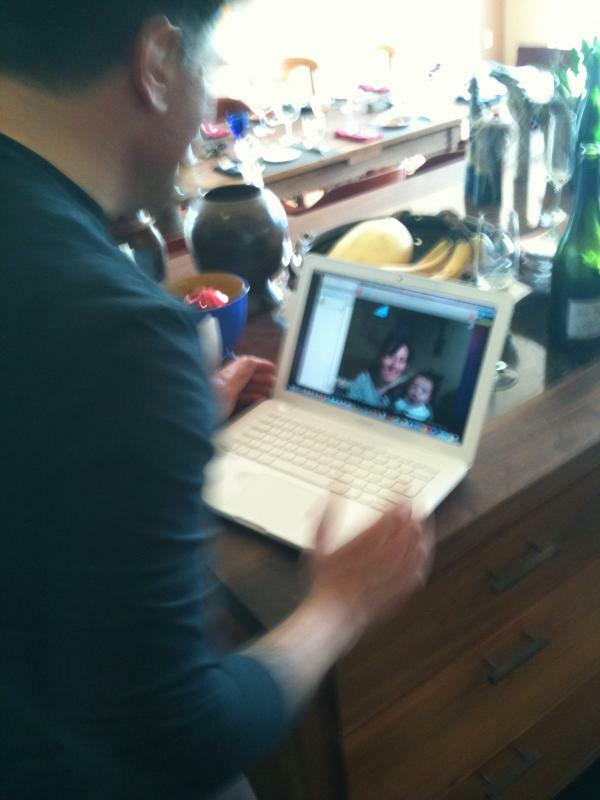 Joe didn’t talk too much about that day, at least not to me, so of course I heard about it mostly from Tully. But it was Clary who told me that Joe, once he woke up, had cut off his own leg to get out from under that tree, and that he’d done it with the knife he carried with him. I wanted to know why he hadn’t waited for help to come, and why he had gone and done that, cutting the leg. Clary said it was because Joe didn’t think help was coming, and because Joe had his two boys to look after. Clary said I would understand that someday. She said he would have lost the leg no matter what, and his life besides. She said anybody else would have died out there. I guess she knew what she was talking about. Those sitkas can be big ’uns. Joe never talked too well after that. There was a slur in the words that came out, and you had to pay attention real close to get to his meaning. That’s why he carried the case, I think. He wanted people to understand where he was trying to get to. The grocery store in Sandy would be the natural place to let somebody out anyway, it was the only big place over there, and it was where everybody from Brightwood on down to Welches and Wemme did their shopping, if they didn’t go on to the Fred Meyers in Gresham. Back then there was no delivery, and nothing came to your house without you going and getting it. Once a week Joe B. would take his black case out to the side of the road and wait. Probably it would have been too dangerous for one of his boys to go. They were older than me, but they were just kids, after all. I walked it once. It was 89 paces from Joe’s mobile home to the side of 26. Probably that took Joe some doing. It has been two decades now, maybe more, and sure at this point I think about Joe B. every day. I suppose there isn’t anything in the world I’d like to see again as much as Joe or that briefcase with the arrows. For me that case showed more than just a direction. It told about a man who might have died alone, but didn’t, and who then dealt with the consequences as best he could. That briefcase wasn’t fancy, and it wasn’t a brand name, but these days I look for something with even a touch of what it carried with it. Most days I don't find it. This piece of writing originally appeared on Stephen Tanzer's Winophilia. I changed it a bit today to suit my mood. So there you have it. Stieglitz will be OUT and Fox Talbot IN during the next auction season in HK. Maybe you've heard about the recent remake of True Grit by the Coen Brothers. As you may or may not recall, the original 1969 Robert Evan's era film starred John Wayne and won Wayne an Oscar for his role as the one eyed US Marshal Rooster Cogburn. 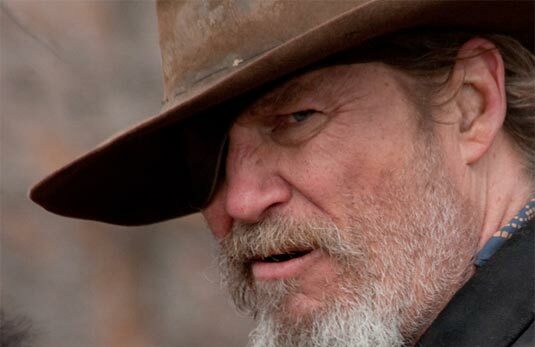 The 2010 version stars former Dude Jeff Bridges in a return to the Coen Brothers fold. I'm told he turns in a chilling performance. I have yet to see the new film myself, which is something I seem to have in common with a lot of the (older) people who have taken to criticizing it for daring to take up the sacred saddle of Wayne. I know where these folks are coming from. After all, we all saw what happened with the remake of The Wild Wild West. Er, at least I did, in a theatre, for full price, and basically with no one else around because everybody with a clue was miles from there. That was the worst movie of my entire life, with apologies to Will Smith, who seems like a nice enough dude. And the kicker was, I REALLY liked the old TV show, which just made it all the worse. So I understand when something stupid like a tepid remake of Alfie comes around and the folks who came of age with the original have nothing but scorn for the young upstart. I feel the same sense of tarnished legacy. I think a lot about remakes around this time of year because all those late release 2008 Italian whites are coming up short in the supply chain right about now. There are 2009s to wait on. Tastings to arrange. Glass pour programs to revamp. That isn't such a bad thing if you don't have to say goodbye to an old friend. Like right now I am about to run out of the Cavallotto Langhe Bianco 2008 and I am bit worried about what the 2009 might hold. You never know, all that ripeness might make things flabby. And the 2008 has been so good to me, and to the people who have tried it. Have you had the chance to try it? It is a bit unusual in that it is 1) a pinot noir grown in Italy's Piemonte, an area famous for its Nebbiolo and 2) a pinot noir that is made into a white wine. Yeah, that's right, they press the skins off and just make wine from the clear juice. It is pretty neat to think this baby could have been red if it had wanted to be. Kind of like the Duke of Windsor giving up the throne for love. And I feel that I get to learn something about the character of Pinot Noir and the Piemonte as a result. Like that if you put them together you can get some killer, electric acidity. I mean like deep wellsprings of acidity, matched by that plumpness that you get sometimes in a Blanc de Noirs from Champagne. It is a delicious wine. At least the 2008, with its touch of waxy, lanolin flavor is. But so was the 2007, and especially the 2006. The 2006 was a classic for all time, with acid that just wouldn't quit and a lifespan that lent well to pouring it by the glass a year and a half ago. I really don't understand the guys who say that wines age on their fruit. Do those guys drink wines like this? Which is what worries me about this 2009 that is coming up, and which I haven't tried yet. It is going to be all packed in fruit salady this time around? With big ticket '09 ripeness? Is it going to be a Hollywood Feel Good Movie of a remake? I really hope not. Because then I would have to pass on the double feature, and the 2006 isn't available on my Netflix streaming just yet. Maybe I just need to remember that True Grit was a book before it was a movie, anyway. Is that a Pekin Peking Duck? Merry Christmas Everyone! Here is to a Happy 2011 to come! 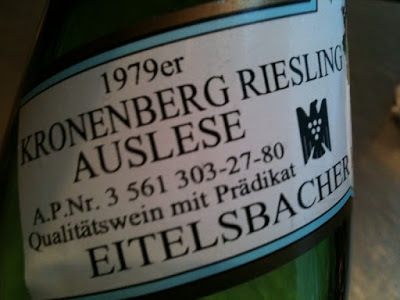 Awhile back, I found myself in the possesion of a 1966 Karthauserhof Sang Riesling Spatlese, and that was odd. It wasn't so much odd that I had the bottle, because, you know, sommelier types are always packing bottles of mid-century Ruwer Riesling in their shirt-pockets and such. It was partly odd because the bottle was a 700ml, which you don't see every day (kind of like those old 720ml Barbarescos you can come across), but mostly odd because of that extra word there between the producer name (Karthauserhof) and the grape variety (Riesling). Sang. What was that? Eitelsbach is the town near the Karthauserhof estate, I knew that, so what was this bit about Sang? Was it like Berg Roseneck where the vineyard area name was seperated into two words? That didn't make any sense, because I had never seen the Sang part before. Perhaps it was in reference to a song? Was 1966 the year Frank Sinatra sang that he'd left his heart in Eitelsbach? I needed to know. So I did a bit of research. It turns out that what we now refer to as the "Karthauserhofberg," the estate vineyard of the Karthauserhof winery, is actually an amalgam of what was once 5 different vineyards sites. These were called Burgberg, Kronenberg, Orthsberg, Sang, and Stirn. There was no Karthauserhofberg back then. Everything was labelled with the individual site in which the grapes were grown. But in the 1980's the current owners decided that this was too confusing and decided to label all of their wine as coming from one estate vineyard, encompassing what had once been seperately known sites. That change also allowed the Tyrell family, who own Karthauserhof, to blend grapes from the different areas when they make their wines. At about the same time as they decided to make the change in how the wines were labelled, the Tyrells also threw out the old wooden vats that used to line the winery, and made a switch over to stainless steel for the fermentation of their wines. 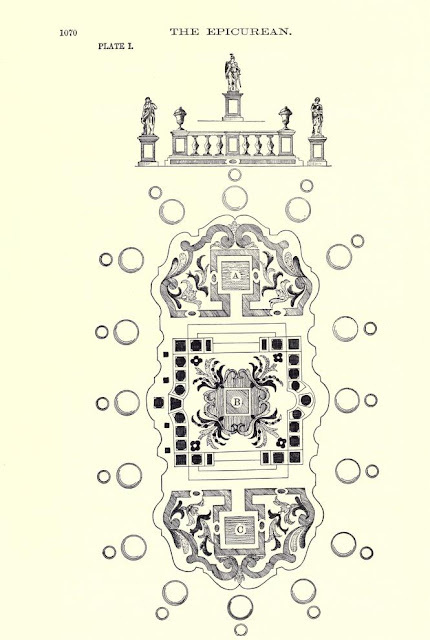 So a lot is different now at the Karthauserhof estate than it once was. Which may be for the better, as after all, I have greatly enjoyed many bottles of Karthauserhof, even if they do take forever to develop mature flavors. Which of course is an old Kronenberg Riesling. That is Kronenberg, not Kronenbourg. It's not like they were making wine from four of the different parcels, but turning out 1664 beer in the fifth. Anyway, there was this bottle of Kronenberg Auslese, and it made me wonder about that old Sang. I've only ever heard of Sang Spatlese, never of Sang Auslese. I wonder if it was Kronenberg that had the better exposure, where the grapes got that much riper every year? I don't know. Which is the sad part, really. Because I would like to know, but pretty much can't now. I remember I visited the famous Tsukiji fish market in Tokyo awhile back. They don't tell you this in the guidebooks, but the folks who work in Tsukiji, the fishmongers, aren't too keen on tourists passing the time ambling by their stalls. They are there to work, it is cold in the morning, and if you get in the way, well maybe that brackish water gets pushed in your direction when they throw it out, which is often. Or maybe one of the guys zooming around in a little truck that is more like an overgrown lawnmower decides to brush you back a bit as he passes you amidst lanes much too narrow to be called "streets." Which I guess I am cool with. I don't really dig interlopers in the kitchen, either. But anyway, sometimes tourist folks want a closeup. Like this British guy who I saw at Tsukiji. He decided to get a closer look at a worker who was cutting into a gigantic head of tuna with what seemed to be a hacksaw. The Toro head was like bigger than me. Huge. And there was a man cutting into it like a sculptor might tackle a raw piece of Carrara marble. So whitey starts in to look over his shoulder and see what is what, and our fish sculptor isn't having it at all. He puts down the hacksaw (nice of him, in retrospect), clamps Gordon Brown with one hand on each shoulder, and marches him out of there right nice. I think about that because I feel like that British guy when I think about Kronenberg. Sure would be nice to get a closer look, but that ain't going to happen is it? Sometimes I wonder if there is mad scientist in the lab at Karthauserhof who lets out a loud cackle when he blends vials of Orthsberg with the Burgberg "Muuuuuwwwhahahaha!!!! They'll never know the secret now!!!! HAHAHA!!!" Anyway, I apologize to anyone at Karthauserhof if that comes off a bit harsh, as I really do like the wines they make there today, but I also feel like something has been lost. Do you know what terroir is? Listen, because I am going to tell you what it is right now. Terroir is where you put your two index fingers up close to your nose and you see another, smaller finger in between the left and right, linking them together. Terroir is that link. The one that is between the grape variety and the vintage. Look directly at it and it is gone. You can't glean everything about it from a photograph, and you sense it more than anything else. But hold up your palm before your eyes and you can't see it either. Burgberg. Sang. Stirn. I mean, what GREAT names. Burgberg, Burgberg, Burgberg, I love just saying it. And Stirn. Sang. I mean come on, how poetic is that? One of these vineyards Sings in the vintages, while the other is quite Stern most years. So, so much better than Brune and Blonde, I think. I guess there is an argument to be made that a balanced wine needs a little Sang and a little Stirn. But do me this favor, if you find yourself opening up one of these old vineyards for a taste, tell me what you find out, okay? What did you just call me?? People sometimes ask me how they can become a sommelier. Actually, a lot of times people ask me that. What they don't understand is that one is chosen to be a sommelier. You don't get to pick. It is either in your future that people will consult with you about the ageability of refosco, or it isn't. Either you are called upon to determine if that slight whiff of cardboard is TCA, or your aren't. If the cork has started to crumble and has already slid halfway down the bottle neck and Mike the server who started two weeks ago hands the wine off to someone else to deal with, there is only enough room for one waiter's friend. Will you be there opening up the double pull? These are the questions people want answers to. They want to know if the Divine Right of Laguiole will pass through them, or if they will be stuck looking at the cellar from the outside for the duration? But of course it has already been decided. 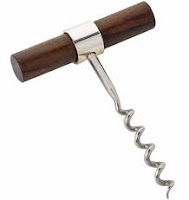 How does one know if they are amongst the Tribe of the Corkscrew Lapel Pin? By the nicknames chosen for you by your peers, of course. If you are known to one and all as having a way with a decanter funnel, you will be so recognized by those you come into contact with. Essentially there are two kinds of sommeliers on this good earth. There are the Born Salesmen, and there are the Life Long Students. Each has a special skill set that they can bring to a table. Born Salemen are all about the show, the flourish, and the double windsor. Should you say to a Born Salesman that you would desire to be drinking a full bodied red from between $70 to $90 a bottle, you will find yourself drinking a $114 pinot noir, and be all the happier for it. The Born Salesman is a natural hunter, and takes his thrill from the art of the kill. What the Salesman himself wants to open and taste is of paramount importance. The Life Long Students, on the other hand, are intrigued by the minutiae. Such a pupil of the vine would be perturbed if someone referred to a 1986 Château Haut-Brion as a Pessac-Léognan, as surely before 1987 it was a Graves. If you should you order the Dageneau Pouilly-Fumé from such a steward, he may ask did you mean the Didier Dageneau Blanc Fumé de Pouilly? The Student is pysched to find a new vineyard map. The Life Long Student focuses on the details. In truth, the Born Salesman and the Life Long Student, in their purest forms, have little in common. The Salesman views the Student as someone who makes everything more difficult than it has to be, while the Student looks upon the Salesman as a person who is incapable of understanding what is important. Accordingly, their nicknames amongst the staff do differ. If you should be referred to as "Killer" or "Shark" by your fellows on the waitstaff, then you most certainly have a future as a Salesman Sommelier. But should your coworkers hail you as "Professor" or "Doctor" then you will assuredly be a Student of the Vine for the rest of your days. So, as a public service, we now take a look at the nomenclature of the Sommelier Nickname. Because as a Sommelier is known, so a Sommelier is. and most all of the pilot call signs from the motion picture Top Gun, especially "Iceman," "Viper," "Wolfman," "Maverick (Mav')", and "Slider" but never under any circumstances "Goose." A Sommelier is never "Goose." and you would think "Edison" but I've never heard anyone actually called "Edison". In truth, the range of names given to this kind of sommelier is fairly limited. Certainly "Professor" or "Doctor" are the most common. But what about the other side of the tastevin? What are some of the ways Sommeliers are NEVER referred to? Which terms would constitute an automatic 8-ball suspension from the Society of Sommeliers if uttered aloud about one of its members? "Dude who helps clear empty plates"
"Person who thinks of himself as a waiter"
"He'll help us move those tables"
"Shops for clothing at Wal-Mart"
Many times I have been contacted by concerned parents who want to know if their child will one day be a Sommelier. After all, the competition to get into a top restaurant position is fierce, and folks want to know if they should enroll their offspring in an expensive wine education course or not. For these parents I have drafted a short set of guidelines by which a future Sommelier can be recognized. Please find them below. Your son thinks he is the smartest person in the room. If someone smarter than him walks in, the future sommelier still thinks he is the smartest person in the room. Wanted to know why the bathtub couldn't always be filled with Champagne. Was nominated by his 4th grade class as "Best Dressed, with Special Mention for Scarves"
Argued with your uncle about the best wine pairing for cranberry sauce during the last two Thanksgiving meals. Frequently talked through the previews of movies in a theatre. Asked his school teacher in front of the entire class if he got "Extra Extra Credit" for answering that question. Inquired of you how to tie a bow tie at the age of 8. His favorite Teenage Mutant Ninja Turtle was Donatello. Your son was the first person in his class to memorize all the capital cities of European countries, and the last person to use the term "bro" in a sentence. Spoke with an affected British accent for a period lasting longer than a few minutes in duration. Though it was once possible to divine a future sommelier by his use of horn-rimmed or "Barry Goldwater" glasses, this is no longer true. If it were, all Brooklyn residents and also Alton Brown would be future sommeliers, and someone has to be left over to write the skateboard magazines and talk with The Chairman. Heard any good Sommelier nicknames lately? Do share in the comments section! I just wanted to take a moment to thank those of you who have linked up to the Ye' Olde Wanton Sommelier. A sincere thank you to David, Dr., and the Brook for the blog recognition. Thanks also to Alice and her Merry Band of re-tweeters. If you linked up to the blog on Facebook, thanks to you too, although I'm not on Facebook so I don't know who you are. I guess I'll just go ahead and thank Justin Timberlake for that one. About a month ago I started this blog in virtual secrecy. Now I am getting like 3 or 4 hits each day. I'd say that is some progress right there! A thank you also to those who have taken the time out to pass the visual recognition test and leave a comment. I know I always get those tests wrong on the first try. Y's that look like V's and all that. The "Quintessentia" amaro from Nonino differs from most other readily available amari in several notable respects. Firstly, it hasn't been around that long. Although the house of Nonino dates back to 1897, the production of an amaro first began there in the early 1990's. Secondly, it is based mostly on grape brandy. In an amari world where beet liquor is often used as a base, this is a key difference. I think the use of grape brandy partly explains why the texture of Nonino's amaro, which is what I love most about it, is so subtle and supple. Another explanation for the texture could be that the "Quintessentia" sees considerable ageing in oak barrels, which is another difference between it and most other amari. And another big difference is that the recipe and production method for the Nonino amaro are fairly well documented and easily accessible via the company website, when the opposite is true for so many other members of the amari family. 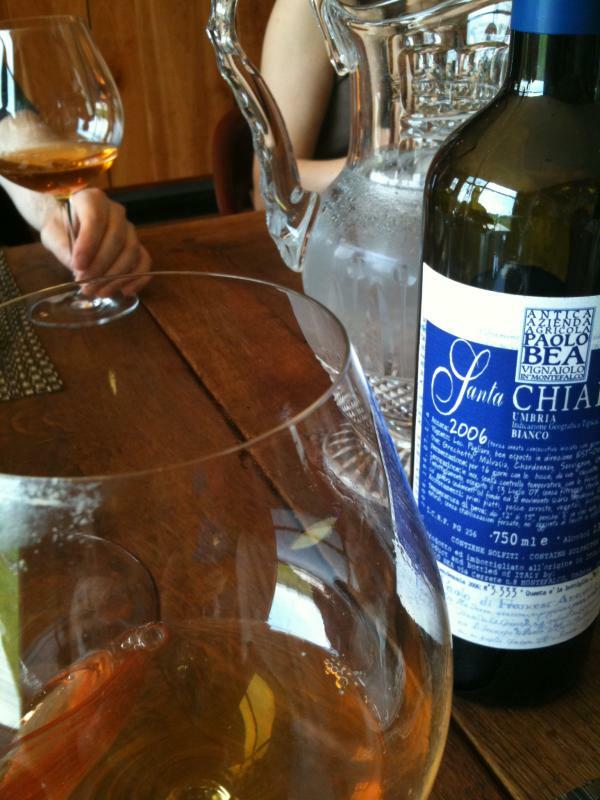 According to the folks at Nonino, the "Quintessentia" begins as a blend of brandies from the company's ÙE line. Nonino began making the ÙE grape brandies, each from a single grape variety and a single vineyard source, back in 1984. They take whole grape clusters and ferment them, later distilling them with a discontinuous still. Today there are several products in the ÙE range, but Nonino uses three as part of the base for the amaro: the brandies based on Ribolla Gialla grapes, Traminer, and Verduzzo. This might seem insignificant except that texture and layered flavors of the "Quintessentia" have more in common with brandy than with many other commercial amari, and the use of a grape spirit base is a big part of the reason why. The recipe for the Nonino amaro includes a number of usual amari suspects and a couple of ingredients that are less normally met with. The enumerated list includes gentian root, rhubarb, multiple kinds of orange peel, quassia wood, tamarind, galenga, liquorice, saffron, and cinchona. Those items that can be found locally (as opposed to those of South American origin), are apparently gathered from a somewhat mountainous area of Friuli known as Carnia. This is in theory notable to me because I am greatly intrigued by the possibility of localized amari. It is interesting to think of an amari from Friuli that would taste of the herbs of that region, while an amaro from Calabria might have other flavors native to that particular zone. In actual practice I've had less success actually picking out herbal notes with that kind of specificity. For instance I note sarsaparilla and licorice flavors in the Nonino amaro, but I have found similar flavors in amaro from other parts of Italy as well. Few producers of amari (excluding chinato producers) would seem to age their product in wood for any real length of time. In most instances, if an inexpensive amaro has a deep hue, that is because it has been colored with caramel. So the fact that Nonino ages its "Quintessentia" in French oak and used sherry butts for 5 years would seem notable. Certainly the integration of flavors on the palate that one finds with the "Quintessentia" would indicate the kind of harmony that wood ageing can bring about. All the more surprising then to learn that Nonino also makes caramel additions to its amaro, which they do. Sometimes I yearn for a "Brut Nature" style of non-caramel dosed amaro. As it is, however, the "Quintessentia" is still high class stuff, and I am usually quite happy to meet with a glass. Which is fairly doable, because it is one of the more readily available amaro in the American market. I think that in general an amaro produced by a well recognized grappa producer has a better chance of getting imported than an amaro that is produced as a stand alone product by a dedicated amaro producer. The chances of an amaro getting tacked on to a larger grappa order seem fairly good. It probably also helps that Nonino is brought in by a pretty active importer that works in several different cities. Anyway, if you want to try the "Quintessentia," obtaining a bottle is certainly not too difficult, although it is certainly not inexpensive for the category. 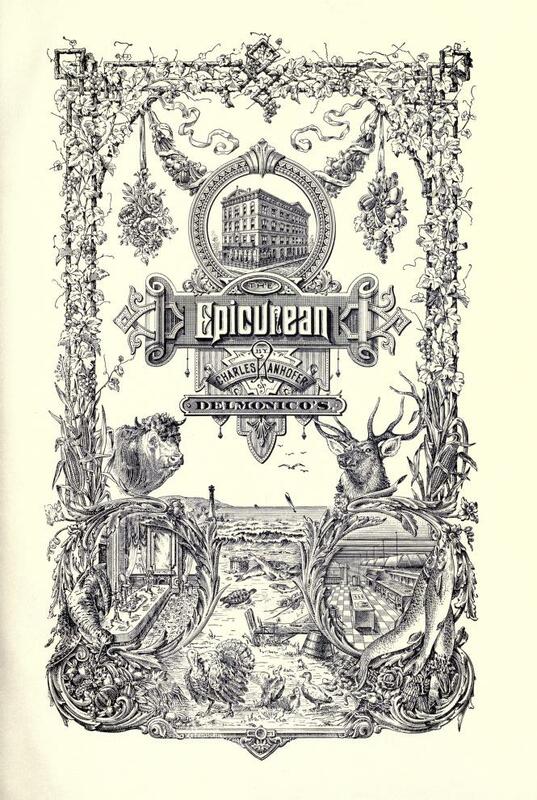 In terms of flavor, the "Quintessentia" yields up the sarsaparilla and licorice flavors already alluded to, as well as a kind of red iron kind of flavor. I tend to perceive the sarsaprilla more in the mid-palate, and the licorice more towards the quite long finish. This particular amaro really does linger on the palate, and in fact sort of coats the palate nicely. I sometimes sense some red hots flavor notes as well, which may or may not be related to the 70 proof that this amaro brings to the glass. 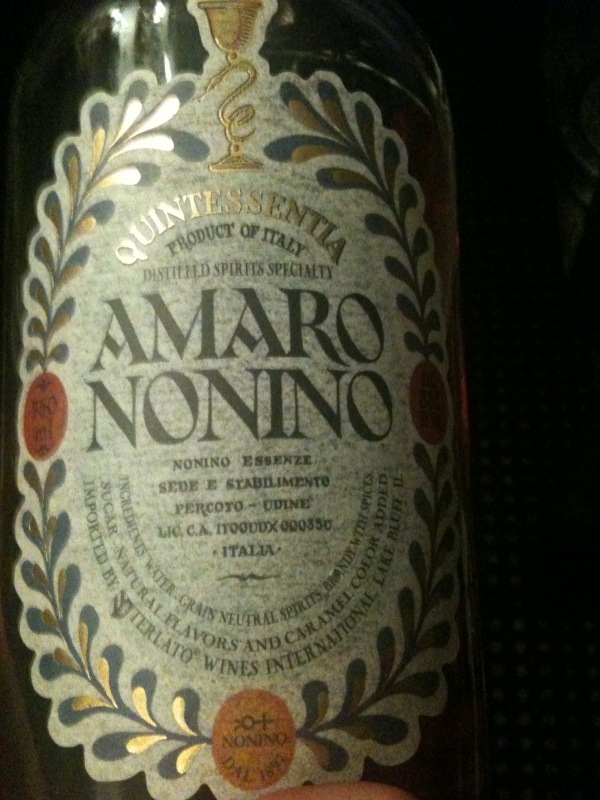 Outside of chinato or vermouth, Nonino amaro is perhaps the very best amaro I know of to serve as an aperitivo. Of course it is wonderful after dinner as well, but the fineness of texture and delicacy of flavor really work well as an aperitivo. Add a slice of orange and maybe some ice cubes and you have everything you need. I suspect one would see "Quintessentia" in cocktails more often if it were less expensive (it tends to be one of the most expensive of any given set of amari on a retail shelf), but then again, all that wood ageing does bring about more cost. If you do have the opportunity to use it in a cocktail, may I suggest that you try a blend with Barbancourt aged Rhum? It isn't the worst thing you can do to yourself. Perhaps it is also worth mentioning that the Nonino Amaro bottle is one of the most preferred for reusing. The front label comes off easily, and there is a straightforward shape to the clear glass that reminds one of an apothecary. I have noticed that when folks make their own home brew amaro, they often place it in an old Nonino bottle. Nonino "Quintessentia" Amaro is imported to the United States by Terlato Wines International (formerly Paterno) of Lake Bluff, Illinois. I have enjoyed the Manzanilla of Bodegas Argueso for some time now, but I only knew the "Clasica" bottling. I had never encountered some of their other products (which I have heard includes a white table wine made from Palomino Fino). 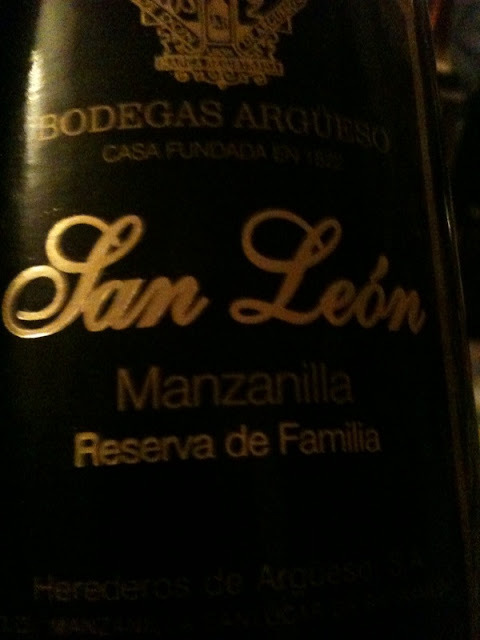 Recently, I was introduced to the "Reserva de Familia" Manzanilla from Argueso, and it is now a favorite. Com' on, it has a black and gold label. You know it has to be badass. The "Reserva" had an extra dimension of weight above above and beyond the normal "Clasica" bottling, but also offered superb integration. Seamless, really. It think it is unusual to find mineral and saline flavors with a seamless texture. Usually more cut and chisel and distinct are the bywords. I could see certain occasions where I might prefer the lighter "Clasica" with my food, but as a sherry of profundity, along the lines of a Fino bottling from Valdespino, or of some of the releases from Equipo Navazos in their "La Bota" series, the Argueso "Reserva" certainly merits some attention. Mannie Berk is a nice guy. 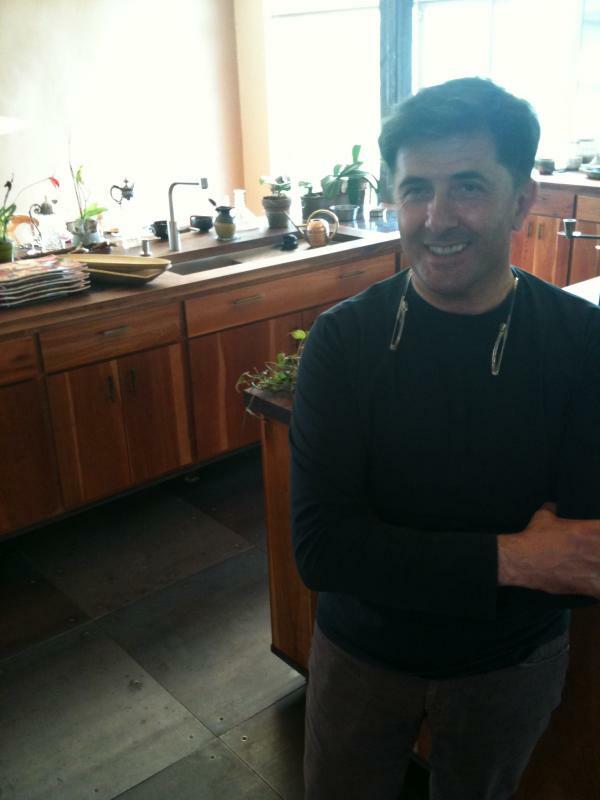 The other day he dropped off a bunch of Madeira samples that he thought I would like to try. All kinds of goodies were in the bunch, including a range of both Barbeito and D'Oliveira dating back to the mid-19th century. Not such a bad deal for me, I must say. But there was a question of timing. It is not every moment that lends itself to tasting through 20 or so high alcohol fortified wines. What if you have to do work later that day? Or talk on the telephone? Or walk to the next room without falling? One does have to think about the consequences. I mean, it is probably no coincidence that the man credited with discovering Madeira was known as O Zarco The Cross-Eyed. I put off the Madeira-a-thon for awhile. But when I found myself in the possesion of a plump panettone recently, I knew the right time had come. Madeira says winter holidays. Panettone says winter holidays. I figured it was destined to be. Someone from Milan would probably be shocked and dismayed that I ripped this panettone apart with my hands, instead of cutting it into neat wedges with a knife. That's okay, I'm more of an Manchester United fan anyway. I decided to go at the "city" Madeiras first off. That series is a group of Madeiras that Mannie partnered with the folks at Barbeito to produce. Each is named after an American city, such as Boston, New York, or Charleston. Both the Boston Bual and the New York Malmsey were nice with the panettone, but the New Orleans Special Reserve was my preferred pairing. Made from the rarely seen Terrantez, the N'Orlins had a dense, chocolatey richness about it that was just about panettone perfect. The Charleston Sercial was nice to try, but much too dry for my baked repast. I imagine the Savannah Verdelho would have been too dry as well, but I'll never know, because I would have needed a vice-like grip to get the top off that bottle. Next time, Savannah, next time. That is my friend Bubble Monkey in the background of the last photo, btw. Bubbles came over to help me taste through the Madeira goodness. ﻿Next up, we decided to tackle the Madeiras from D'Oliveira. I thought it would be best to go by producer, dividing the D'Oliveira bottlings into one flight, and the Barbeito bottlings into another. Each time I went in order from youngest to oldest. The D'Oliveira bottlings I tried were from the grapes associated with sweeter styles of Madeira, Malvasia and Bual. ﻿One of the things that I really took away from this evening was a seeming grasp of the house style at D'Oliveira. It isn't a flashy or blowsy lineup. There is a level of restraint, of stiff upper lip entrenchment, that reminded me of Taylor's port. There also seemed to be a firm cord of structure running through these wines, in the same way that graphite runs through a No. 2 pencil. The style of Barbeito offered a real contrast to the firmly tailored wines of D'Oliveira. The lineup from Barbeito also focused on the sweeter styles. ﻿The offerings from Barbeito were to my palate much blowsier and more viscous than their D'Oliveira counterparts. Much easier to like at first sip as well, I think. Kind of like the difference between Spatlese Riesling and Spatlese Trocken Riesling. As a result of all this, I tended to prefer the Barbeito bottlings with my panettone. After going through each of the wines, it occured to me that Barbeito's 30 year old Malvasia offered a very good and representative bottle of what for me approximates the Barbeito style, for what I would imagine to be a somewhat more modest price than some of the older vintages that were also sampled. One aspect that should be kept in mind, though, is that Barbeito, unlike D'Oliveira, purchased wine from other stockholders when it began as a company. So I wonder if my sample set had included other bottlings from Barbeito if I would have seen greater stylistic diversity. I wonder if all of my Barbeito Malvasia bottles, for instance, came from the same original producer. As you can infer from the amount left in the bottle, this Barbeito Malvasia was a particular favorite. All in all it was a fine December evening, and I want to thank Mannie Berk for making it possible. ﻿I also want to thank Bubbles the Monkey for being there! I have followed various releases of this champagne over several years now, and it has always been a go to favorite. But the newest take, in the Tim Burton-does-Batman-black-bottle, is in a different vein than those that I had tried previously. Much more mineral, much more driven, and quite dry. The soft-summer-day-give-me-a-push-on-the-swing-set fruit has been ripped out here. This wine is vinous and out for blood. A chiseled middle weight fighter who hasn't smiled for several rounds, and perhaps has a razor blade packed in his glove. There is no caress about it: we are looking at bruises. Maybe not the kind of rosé that everyone will like. Maybe more of a split decision. Still, I can't help but go for another round. So, what did the modern epicure pair with oysters? Let's be honest, the situation has changed a lot in the last 100 years. What we've lost: long and comprehensive book titles that stretch on in their description of contents for a third of a printed page. What we've also lost: the printed page. What we've gained: anytime access for everyone to books and newspapers in digital form, often free of charge. It is a fairly amazing resource, encompassing over 1,100 pages and basically summing up what could be considered the apex of fine dining and drinking in an America on the edge of the descent into Prohibition. Delmonico's, located in Manhattan, was at the time one of the premier restaurants in the country and had held such prominence for many years (the enumerated list of notables who had dined at the restaurant does not fail to include U.S. Presidents). Many suggested and actual menus are supplied within the book. Proposed food and wine pairings are also provided at extended length. Some of the pairings that seem perhaps a bit at odds today: Barsac with oysters, Vin de Paille with cold roasts, Piesporter with tournedos of beef, Rauzan with lettuce salad, Sherry with truffled omelette, and Champagne with warm asparagus dressed in vinaigrette. It is funny to think about how often one hears the idea of "classic" food and wine pairings bandied about, when history seemingly bears little relation to how we go about matching meals in the age of pneumatic presses and cool fermentations. One of the unique faucets to The Epicurean is that one can get a handle on what at the time would have been considered a seasonality chart, as a distinct menu with wine pairing is proposed for each month in the calendar. Curious about what a particular dish was composed of? The recipe for that dish is also included. 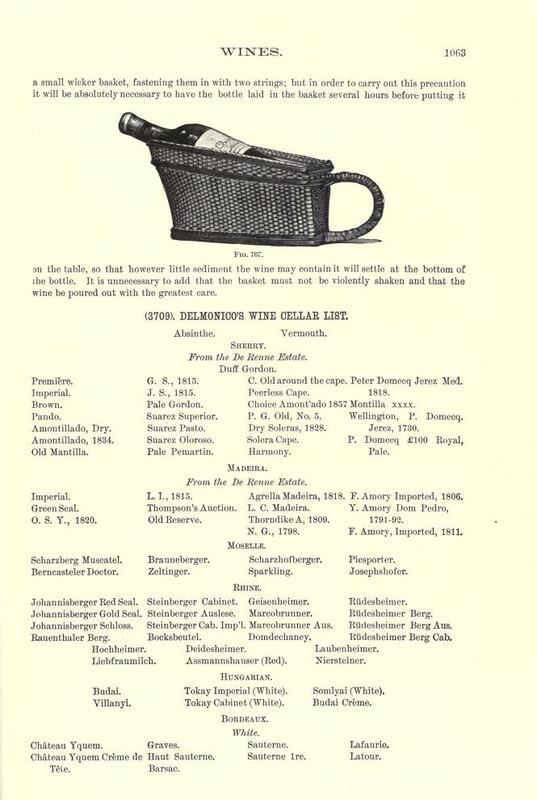 A representation of the Delmonico Wine List is also reprinted within the book. 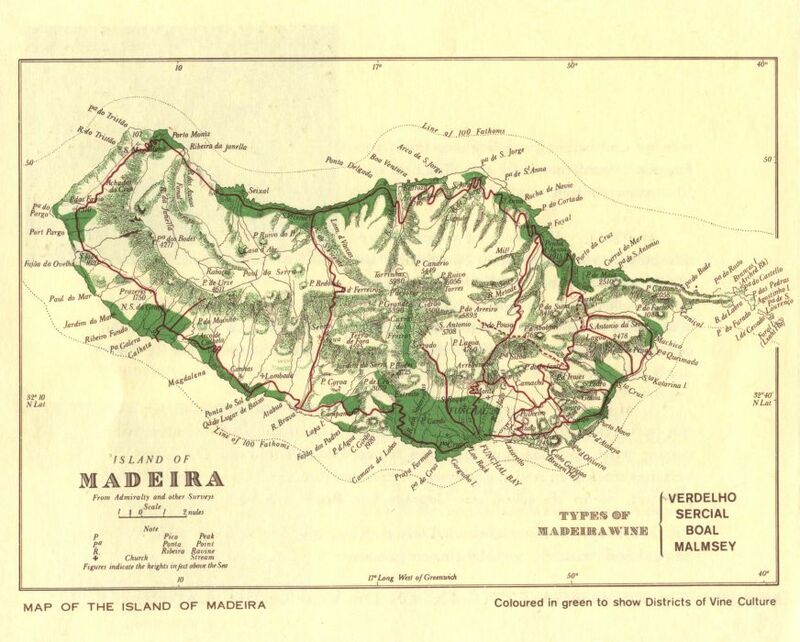 A large section of the list is devoted to Sherry, and Madeira has quite a few representatives as well. Of course there is Malaga. You drank some Malaga today, right? 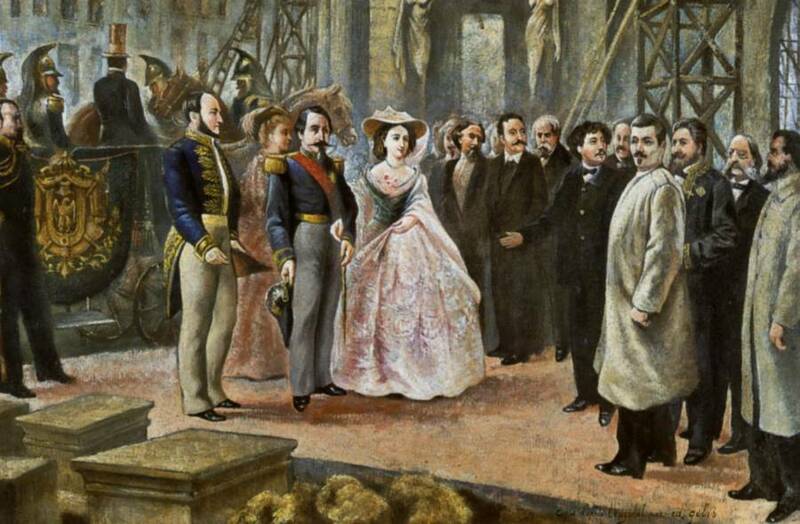 Under White Bordeaux, “Château Yquem” as well as “Château Yquem Crème de Tête” and a listing for a (white) “Latour"
One facet of the Manhattan wine lists from this time period is the regular and significant presence of wines from the Austro-Hungarian empire. Funny that one doesn't hear so much about that today. 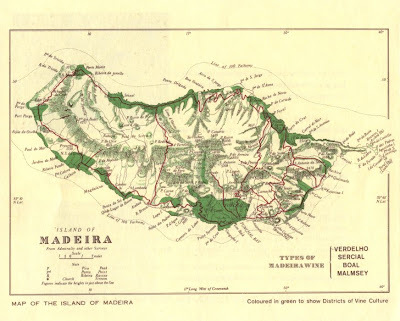 The links of Madeira to America are well known, but in the case of "Tokay," it is less so. The wines are frequently on lists from this era. Those interested in the cocktails of the Roaring 20's (that is sort of a thing now, right?) will find a Mixed Drink and Punch Recipe list (pages 1065-1067). 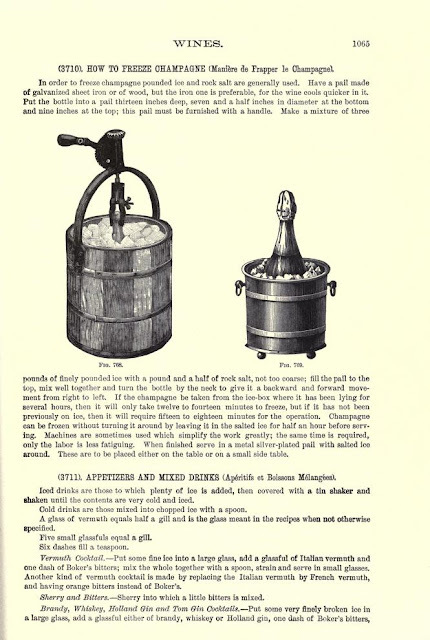 Elsewhere in the book one learns that Americans tended to prefer Perrier-Jouet, Germans often reached for the Pommery Sec, and Frenchmen preferred “Yellow Cliquot." 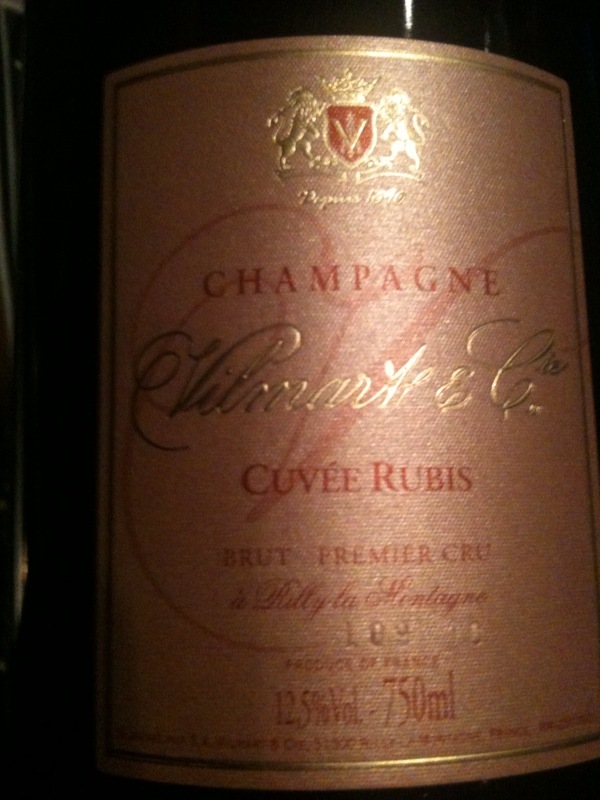 I find it gratifying to know that people have been leaving the second "c" out of Clicquot for close to 100 years now. I also am drawn to "Holland Gin" as a usage. I think I prefer it for everyday use over "Genever." My personal favorite sentence from the text: “Bottle the wine on a clear, cold day; avoid stormy weather, and if possible select a day when the wind blows from the northeast” the context being a discourse on the art of bottling wine from barrel in one's home or restaurant. Yes, I too have often found that a wind from the southwest bodes only ill tidings. The .PDF file of the book is fairly large (about 200MB), but the it is easy to read online with a decent internet connection, and there is a handy page slider at the bottom to help you proceed along. Also, the search function brings down dandy little markers, much like the pins in an iPhone map. After the better part of two decades spent working in a restaurant of some sort, I have developed a logical rule about "specials of the day." Let me show you it proceeds. and the restaurant has both an a la carte menu as well as available "specials"
So if you were to follow this rule, as I do, and you were to find yourself at Soba Koh on 5th St., as I was recently, then you would be compelled, no questions asked, to order the "Tempura Figs with Salt" from the list of handwritten specials. Because no one, and I mean no one, would go to a Japanese Soba place and think to themselves ahead of time: you know what I think I'll get tonight? I think it will be Tempura Figs. But only if they have it with the Salt. People would presume uni. They would presume anago. They might presume saba. Or hamachi. Or ikura. But nobody is presuming Fig Tempura at a Soba place, even a very good one that has the best Inaka Soba available in the City of New York. So Fig Tempura would probably be a hard sell. Like a server would have to try to really convince somebody that yes, you can get to the octopus and nori in a moment, but you really must try these figs first. 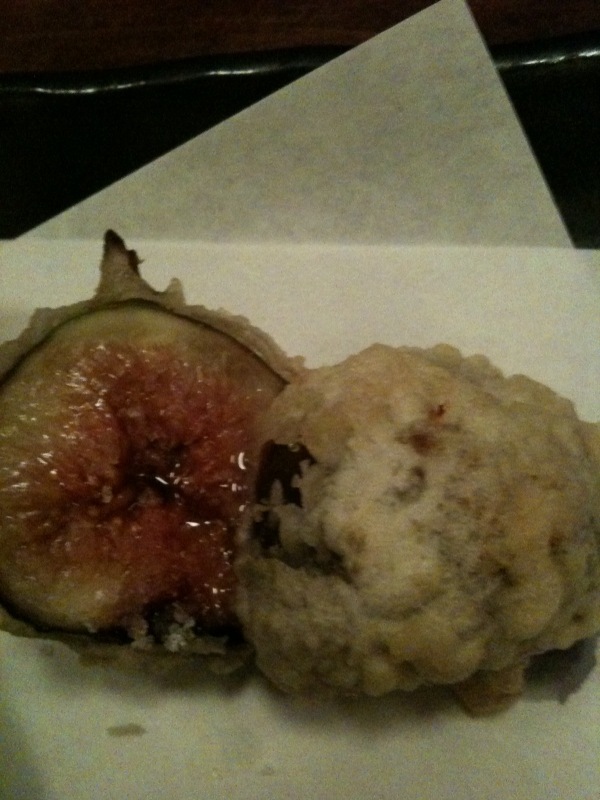 And Fig Tempura would probably ONLY be on the menu because the chef liked it himself. Because he believed in that dish. Because he thought you should try it. After all, it isn't like the chef would be holding that space on the menu as a favor to his favorite fig distributor. This isn't major label pinot grigio we are talking about. 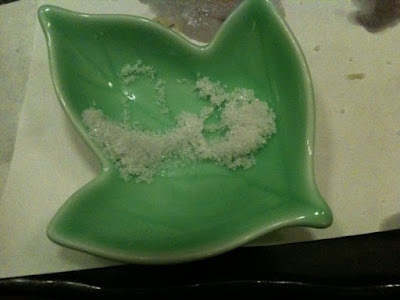 So I ordered the aforementioned Tempura Figs with Salt, and you know what? They were DELICIOUS. Whooooooooooah! !, this is good! I have to get me a picture of this! 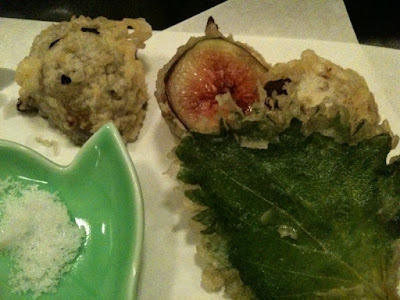 What came to my space of countertop was 4 quite warm figs, swaddled in a light tempura batter, with the side of salt the menu had described, and a tempura shisho leaf for good measure. Even with a closeup you can't see the salt that I sprinkled on these because it disolved on contact with the warm fig flesh. Who does this sort of presentation better than the Japanese? Com'on, this is cute. I used a lot of this salt. One of the things that I really appreciated about these warm figs is that they seemed to be the perfect antidote to one of those New York gloomy winter evenings. You know the kind, where it is cold, and the air is dark and thick, and where you think you might see Perceval the Gallois riding by with a broken lance after a long battle with an errant dragon or somesuch. That kind of night. Cold. Inhospitable. Anyway, those figs were warm, and succulent, and crucially, they were battered. I am trying to figure out how soon I can get back there to try them again. There was a certain logic to it, after all. It's the Holidays, don't forget to take some time out to dance! Voyat. I was familiar with the name. There was a picture of the grand old man in Burton Anderson's long out of print Wines of Italy. There was a mention of the legendary Chambave Rouge in Neal Rosenthal's memoir. And there was a listing for this wine on an otherwise non-Valle d'Aosta focused list in Manhattan. "How is the Voyat?" I asked the sommelier. I know from experience that it is easy to lose track of a large wine list. You put 2 or 3,000 wines on a list, and you know, some of them just sort of, well, get forgotten about. I hazarded another try: "How is the Ezio Voyat red, the Valle d'Aosta red?" The reply was straightforward: "I have no idea what you are talking about." So there we were, none of us having tried a Voyat, and one ripe for the picking. "Bring me this wine here, and an extra glass for yourself, and we will all try it together," perhaps one of the better decisions I have made in awhile. Because the wine is delicious. Utterly delicious. Imagine cut and minerality so intertwined with broad layers of fruit that you can't see the edges, can't find the place where one stops and the other begins. Imagine a wine that is perfumed inside its texture, on the palate more than the nose. Some people drinking this brought up Carema. Others mentioned Dolcetto from Alba. It turned out that the wine in our bottle was a blend of Petit Rouge, Gros Vien, and Dolcetto. Funny that I hadn't thought to say Gros Vien originally. Voyat died in 2003, in his 80's. The wines are currently being produced by his widow and daughter, and up until recently, they were imported to the United States. As far as I know, that is no longer true. 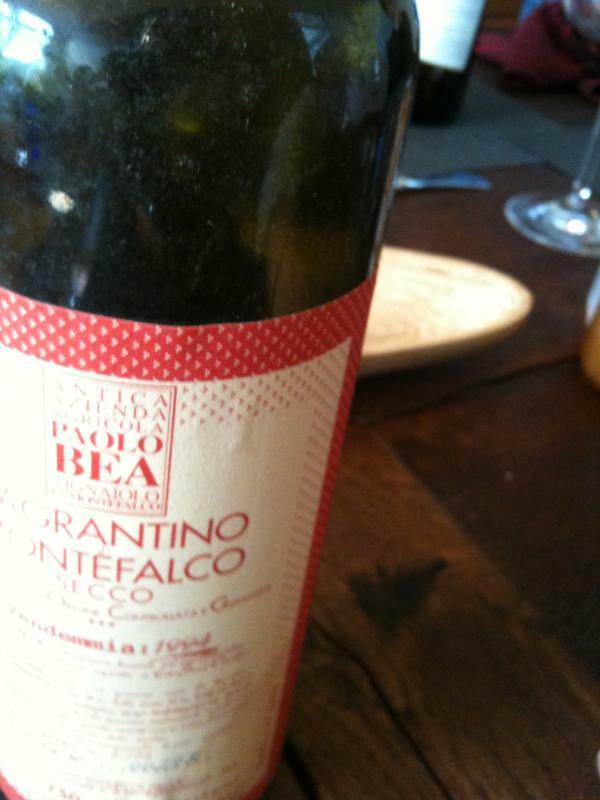 Our 2000 was a vino di tavola, with no vintage given on the label outside of a Lot number. I long to drink it again. I received this happy holidays card in the mailbox at work today. It is from a winery in Oregon. You just can't make stuff like this up. 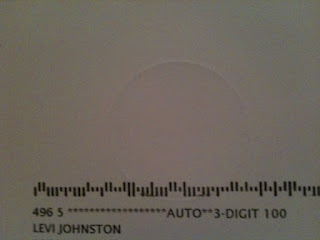 Note to wineries: my last name is not Johnston. I do not know Bristol Palin. I was not on, nor do I have any immediate plans to be on, Dancing with the Stars. Recently, Balki from Perfect Strangers met with Giampiero Bea (who knew Balki was a wine connoisseur? who knew Balki was still alive?) 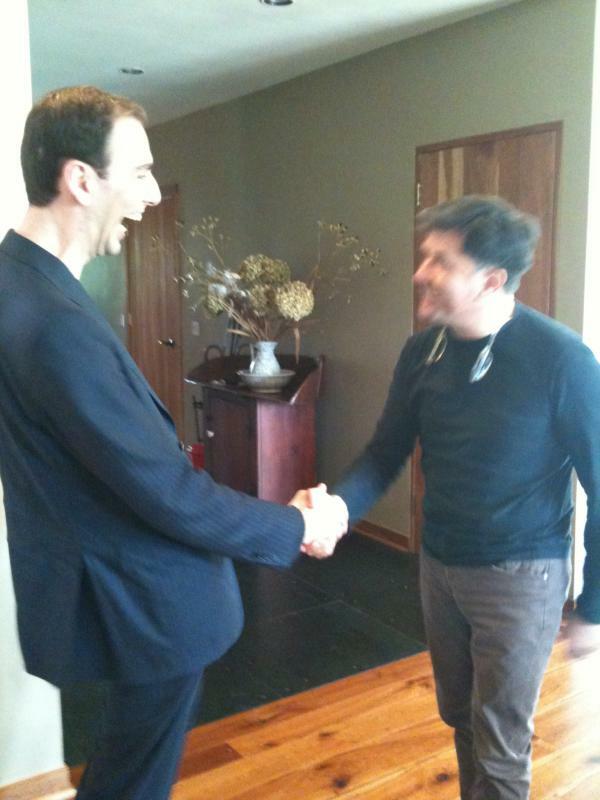 during Giampiero's visit to New York. 'Ole "Brown Eyes" Bea told Balki that he was happy to make drinkable wines, and that he did not think of his own as "great." I am told that the humble statement impressed Balki, as his experience of famous winemakers often runs counter to this. Giampiero also shared that he has wines aged in an improvised solera at his winery that he has been experimenting with but that haven't been released for commercial sale. Giampiero further mentioned that the "Santa Chiara" has seen progressive levels of skin contact with the passing vintages, originally being a wine with contact measured in hours, now being one with contact measured in weeks. The yet unreleased 2009, with the longest maceration time on the skins yet, rings in at 21 days. Longer contact has resulted in a deeper color as well as a thicker texture. Of those vintages that have been released, the 2006 saw the longest maceration. the Montefalco and Lazio wines, a consulting project in Sicilia working with Catarratto and Perricone, and as president of a small natural wine organization that also includes the Cappellano, Maule (La Biancara), and Massa Vecchia wineries. In passing Giampiero revealed that the first vintage of dry Sagrantino from Bea was the 1994, a somewhat shocking statement actually, and that pure Sagrantino had previously always been Passito. Balki acknowledged that the '94 Bea Sagrantino Secco was drinking quite well today, and deemed it ready to drink and hold. Prior to '94, Sagrantino would be either offered in purezza as Passito, as mentioned, or blended with other red grape varieties like Sangiovese to produce a dry red table wine, like this 1990. 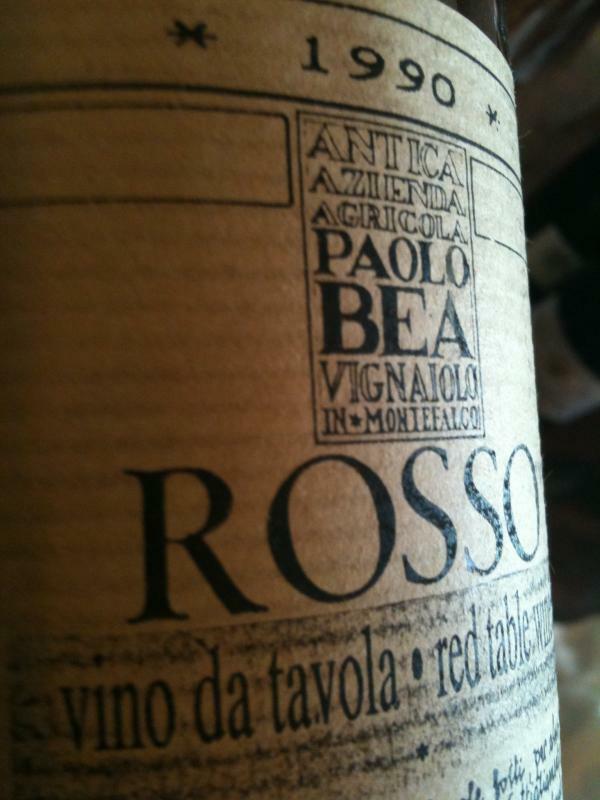 Also, did you know that Veo as in Rosso de Veo indicates "Bea" in the local Umbrian dialect? Balki didn't. Saffron the spice has a pretty fascinating history: used in potions by the Sumerians, woven into textiles by the Persians, added to wine by the Chinese, made the subject of myth by the Greeks, found in the baths of Cleopatra, pirated in the time of the Black Death, made the seed of the dispute that flowered into the 14 week "Saffron War," regulated by the Safranshon code protecting against its adulteration, and cultivated by the Pennsylvania Dutch, saffron as an ingredient brings with it a golden straw aroma that conjurs to mind the exotic. Or so it does to my mind in the case of the Meletti amaro, to which saffron is known to be added, along with several other components of a secret recipe. The Meletti family started distilling anisetta back in 1870, in the Marche. The distillery is still located near the town of Ascoli-Piceno, also the namesake of a commune in the Marche. Some time later, around the turn of the century, the recipe for an amaro was added to the family distillations. What is produced today may or may not hew closely to that original - it is hard to say. But what we have now is still produced with the crucial saffron, which to me adds some real interest to the lifted aroma of this amaro, and makes it stand apart from its amari cohorts from other regions of Italy. Meletti amaro today is distilled to 64 proof, and I have read that the process of maceration calls for pumping the alcohol base through the spice and herbal ingredients with several passes. After this, caramel is added, as it often is with amari today. This gives a deeper color to the liquid, as well as a certain sweetness in the Meletti that is reminiscent of an amaro such as that of Nardini, which also sees caramel addition. For me the sweetness is not cloying, but certainly with the Meletti we are a long way off from the kind of bitter spikes that one can find in the amari of the fernet family. The Meletti empasizes a mellow and rounded palate, a hint of what tastes to me like cardamom on the mid-palate, and lingers nicely as a cinnamon taste coating the back of the tongue. Those who know the taste of Carpano Antica Formula vermouth will I think recognize some of the same flavors in Meletti amaro, except the mouthfeel of the amaro is so much broader and viscous. Meletti is the kind of amaro that could easily, to my way of thinking, be used as an aperitivo, perhaps over ice with a slice of orange, or maybe with a small addition of club soda. It is also quite mixable, in terms of cocktail use. One way that I have been successful with it is to blend it with a spirit base that is by itself pretty dry, such as some ryes are. Another good route to take is a mixture with George Dickel Tenn. Whisky. 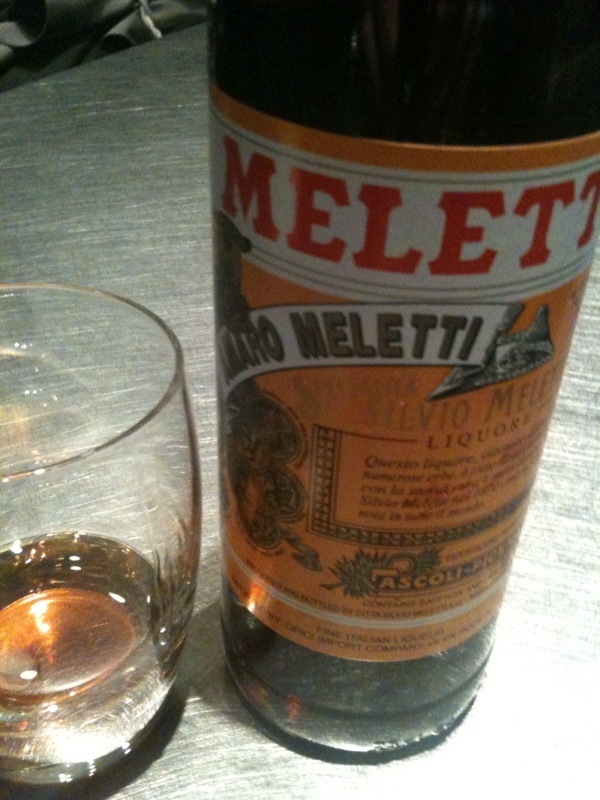 The fact that Meletti amaro is pretty inexpensive also adds to its versatility as a cocktail ingredient. Maybe you know a good story involving Meletti amaro? Or a good recipe that calls for it? Please do share in the comments. I probably shouldn't leave off without saying that the standard Meletti anisetta is a favorite of mine. I have not had yet the opportunity to try the anisetta "dry" that Meletti also produces. Maybe you have? Meletti products are imported into the United States by the Opici Import Company of NJ. Say you would like to try making the milk and lemon juice cocktail that Mr. Yoshida made for me to great effect at the Y&M Kisling Bar? Please find below the ingredients for a Kaikan Fizz, a drink invented by the legendary Haruyoshi Honda. Mr. Haruyoshi Honda was a barman at the famous Kaikan Club Bar, where Yoshida-san and Uyeda-san also once worked, earlier in their careers. There are still restaurants and bars in the Kaikan complex, which is near the Imperial Palace in Tokyo (a great place for a walk btw, as the Palace area is surrounded by a moat and there is an area near the British Embassy planted with many cherry trees). The Kaikan Fizz is similar to a Ramos Gin Fizz, which probably explains why I liked the Kaikan Fizz so much when Yoshida-san made it for me, as I really like a Ramos Gin Fizz. Shake well and pour into a highball glass over fresh ice. You really need to shake it well, or you risk curdling the milk. Tom & Jerry go to Italia! The following recipe makes two four ounce servings. And steam (with the nozzle of an espresso machine, like you would the milk for a cappucino) the contents until quite warm. Then pour into coffee cup and garnish with a dash of ground nutmeg. Serve. It's true that if you watch from 2nd Ave, and you look down 79th towards the East River, the tugboats seem to be driving on FDR. 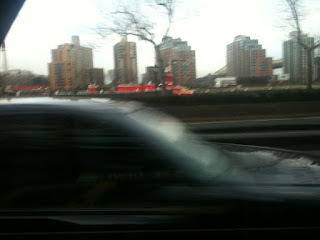 It's a clear view to Roosevelt Island down 79th St., and you can't see the water beyond the freeway from that distance. So the freighters and tugs and Coast Guard cutters seem swept along by the mid afternoon traffic, and not by the water current. 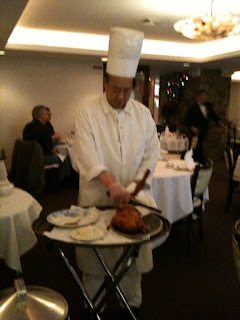 The other day I had a lady yell at me that her no sulphur added red wine selection was too cold to be served at table. Of course I know that if you store a wine like this warm you lose it to Brett, and popping bubbles, and zero finish. I know. But she didn't, and there was her finger in my face. She was upset. Perspective is not everything, but I'm sure it counts for a lot. I know I got startled the first time I saw a giant oil tanker gaining on a Buick. For some time that shed had been locked up and unused and to tell you truth, I don’t even remember how we got in. Probably Tully had a key. His aunt and uncle owned the place – the shed was just a part of what they had purchased from the old owner some time back – so I guess it was ok that we were in there, but maybe not. Hard to say. But probably Tully had a key. ‘Cause we did get inside, and this is the honest truth, there was a ship in there. A big one. Not the whole thing, mind you – although it was still gosh darn big – but just the front half. I’ve never been a sailor for anything, but I think they call that the bow. We didn’t live near the water, and who knows what happened to the rest of that metal piece, but there was that bow in that old, dark shed. The front half of what I guess was an old tanker that had been cut off and put there and that we used to get up on and play captain and crew. When I think on that I see myself brandishing a sword towards the wind up on that bow, but of course I didn’t have a sword, even though I really wanted one, so it was probably just my blonde Louisville Slugger with the extra long handle and the knicks from knocking all those rocks. But maybe it was something else. It could have been anything, I guess. I also remember myself wearing a big Napoleon hat, but I didn’t have one of those either, so who knows. We used to hang out in the shed during the summers when it rained. In Oregon that’s a lot. Mostly if I went to Tully’s house, his old man would tell us to go outside and find something to play. Mr. Tulligan liked to be alone with his smoking pipe and his brown Irish twist. Derwith’s mom never wanted us hangin’ about the house mussying up her carpet, and was likely to say a bit of something about it if we tried. My dad’s place was too small to stay in all cooped up together. So we would go to the shed when it was pouring and wait out a storm until the wind kicked up and took the rain drops on down towards Gresham. But as I was going to say before all that whimsy with the Napoleon hat, mostly I remember the letters, and how I liked to read them out loud. ‘Cause we found suitcases full of them in that old shed, suitcases completely filled up with envelopes addressed in hand and the single spaced letters inside. The writing ink was mostly brown around the time we came on the scene. Probably it had been black before, and changed, as things do. I think we did find one or two letters with black ink, down at the bottom of a suitcase or something, but mostly the writing was brown, and sometimes yellow. So you had to struggle to make the words out in the light, but we liked reading ‘em through anyway. Mostly, I read. Derwith wasn’t much of a reader, and Tully always went on too fast, he never stopped for a period or nothin’. That’s just the way he was, always going on. We’d sit on those old boxes and I’d roll over the syllables all nice like, just like I was on the radio. Back then I wanted to be one of the guys who read The Lone Ranger books on cassette tapes. We used to listen to those, too. That was a long time ago. Maybe guys don’t get paid to read The Lone Ranger anymore. These letters weren’t love letters, I ain’t the type to go sneakin on people that way. They were the passing the time kind of letters. This was my day and what happened letters. This here is what we’ve been doing sort of letters. Mostly, I think it was family writing family. Folks who were away from people they knew, and writing their happenings and their thinking and putting a postage stamp on those and sending ‘em back home. I remember Geraldine. Geraldine’s cursive leaned to the right pretty heavy, and her l’s had those tight loops and didn’t go up so far, so if you weren’t paying attention too close you might read out ioiiipop for lollipop and wonder what the darn was an ioiiipop and why you had never seen one or heard of those before. Geraldine never missed a beat, though. Every day she was probably writing. When you think about it, not so many people are writing every day. Long form, thinking out an afternoon between the margins kind of writing, Geraldine did that on the regular, or must have. There were a lot of her letters in those beat up suitcases. A lot a lot. Geraldine took a day through the hours, she liked to notice things. Maybe that’s the part about her words I liked most. Your thoughts would roll over them, and find an open world there. Geraldine would tell you about feeding the horses, that both of the horses were guy horses, that one was brown with white around the hooves, and that the other was grey with all dark spots everywhere. That there was one horse named Arnold. I remember that because I read out “Arnoid” the first time and Tully kept buggin me for days about what an “Arnoid” was. That’s okay because that sure wasn’t the dumbest thing anybody ever said. Derwith, he wanted to know if one of the horses had a star on its forehead. A white star. “I don’t know Der,” I said, “she don’t say nothing about a star. If there was one there, she would probably say there was one there.” Derwith was sure the brown horse had a star on its head. Not sure how somebody gets to that kind of decision makin’. But see, the thing about feeding horses, and I learned this from Geraldine, is that you have to keep your hand flat. You have to stretch out your fingers as far as they will go, all hard like, no curling. ‘Cause otherwise you risk that horse going from carrot stick to celery stalk to finger number 1. Got to keep your hand out like a board, real steady, with no quick movin’. Then the horse settles down, and knows what is going on. You don’t want to scare ‘em. You want to stand there very still like, and you can’t get scared when you feel the hot breathe of their nostrils on your palm, when they’re close enough that you can hear the clomping of those big teeth. Clomp, clomp, clomp, till there’s no more carrot there. Then you give Arnold a nice pat on the side of the head and you both go on about your business. I can’t remember the other horse’s name, so I’ll figure that it was Arnold that was getting the feeding. Anyway, I think that is what Geraldine said. I guess she knew what she was talking about, because I think she spent a lot of her days around animals. I remember she said that when sheep are born, they come out in a sack. A black sack. She said that she had seen it. This gangly black sack falls to the ground, and then the mom licks the sack off herself. And there is a baby sheep in there. I don’t know much about this myself, I’ve never seen anything like that, so I guess I have to take Geraldine’s word. Same thing with cleaning out fish with your thumb. She knew how to do that, too. Just how to put her thumb in there and bring out the insides so you could eat that fish for dinner. Most folks don’t know how to go about doing that. There was the time about making the damn out of logs. I’ve never made a damn. But Geraldine and some of her buddies had damned up a stream real nice and made themselves a swimming hole. It was all just mud on the sides, nothin’ fancy, and I guess some roots even stuck out into the water in places. But Geraldine and her friends swam around there and splashed at each other, and had big belly laughs up at the sky, and it all sounded like just too much fun. There were plenty of folks’ letters in that shed. Matt Tim’s were around too. 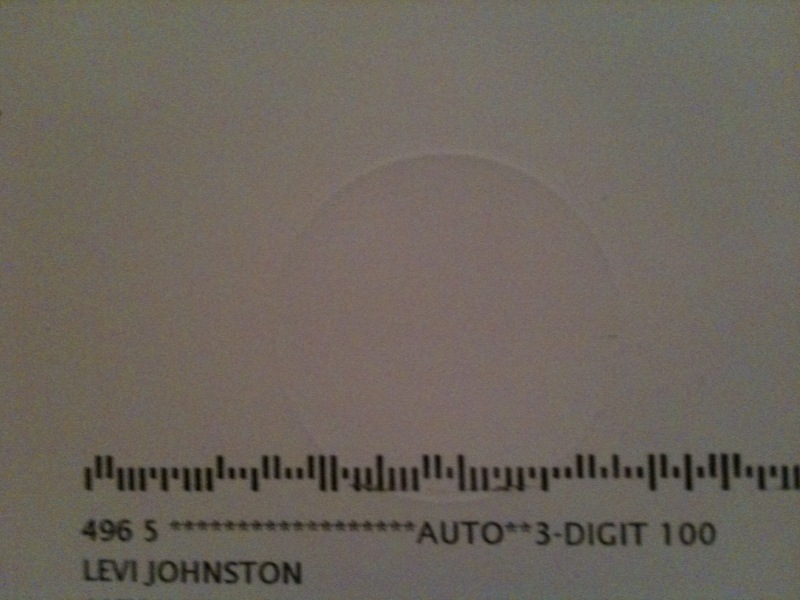 But his weren’t my favorite, even though he had two first names. Matt Tim was always switching up his style. Sometimes it was cursive, sometimes it was block print, even in the same word. Geraldine was tops, she knew all kinds of stuff, and she would write it all down. She was like a mapmaker, tellin’ you about that place she was, telling you where the swimming hole was made, where the big forest with all the Christmas tree pines was at, where the clover patch could be found, how the tree house wasn’t really a tree house, more like just a platform, and how to get up there. Geraldine knew an old-time logger, Jimmie Tye, who lived with his two boys in a yellow school bus out in the woods somewhere. That was their house, a school bus. Jimmie was a big classical music fan. Sometimes Geraldine would visit in the evening and the Moonlight Sonata would be lilting out of the half down emergency windows. There was the time Geraldine and the Tye family all went out for a clam bake by the river and found gun shells. Spent bullet casings, left behind by hunters. “When I put these shells to my ear I hear pain,” she had wrote. Geraldine showed you a world, and she parsed it out for you in syllables. People’s experience ain’t nothin’ if it ain’t explained. Anyway, that’s what I remember. I am a sommelier now, and it doesn’t rain much during a summer in New York. You talk about The Lone Ranger here and folks think you are talking about a hockey player. These days, people fight a lot about what Natural wine is or what it is supposed to be. For me it is like the handwriting of an old letter, maybe one that hasn’t been addressed to you. People think it is cute to argue against Natural wine like there is still some kind of battle raging, like the mass pixel, high density, all-alike world hadn’t already relegated Natural to an oddity, a holdover, a letter forgotten about in an old beat up suitcase. Hell, even this story is a computer document. What is natural? It is the loop of a cursive l. It is the hot breathe of a horse on your hand. It is words rolling out in the half dark. Maybe it is a map that doesn’t need much translation. A directness. A witnessing of experience and a lessening of the distance from which we are separated from each other and the surroundings we find ourselves in. The rolling up of a place into a bottle with a cork in it. Perhaps the space that is created by forgetting is natural, and the humble quality of uncertainty is natural. When someone makes a boring wine, a bland wine, a commercial wine, I don’t think they have forgotten anything. I think they were never there listening. There is a lot that happens in the world. It’s a continuous, simultaneous going on. Why try to close that out of the liquid? Cacophony seems to be the objection to the wines of Cornelissen, for instance. Too much is going on for the reader to pick out the dominant cords. So what should we leave out of the story, the boys who live in a school bus, or the ship that was inside an old shed, miles from any shore? Because all of that happened, that is all a part of the Real, a part of our history, and an outcome of what is natural. Sometimes people ask me for a definition of Natural. I tell them, look, I want you to take that question you just asked me, and write it down. Write it down in your own handwriting, with your own pen and paper, and with the words you want to use. Then look at it. Take a look at what you just did. That’s your answer.